I think many people can relate to this statement. 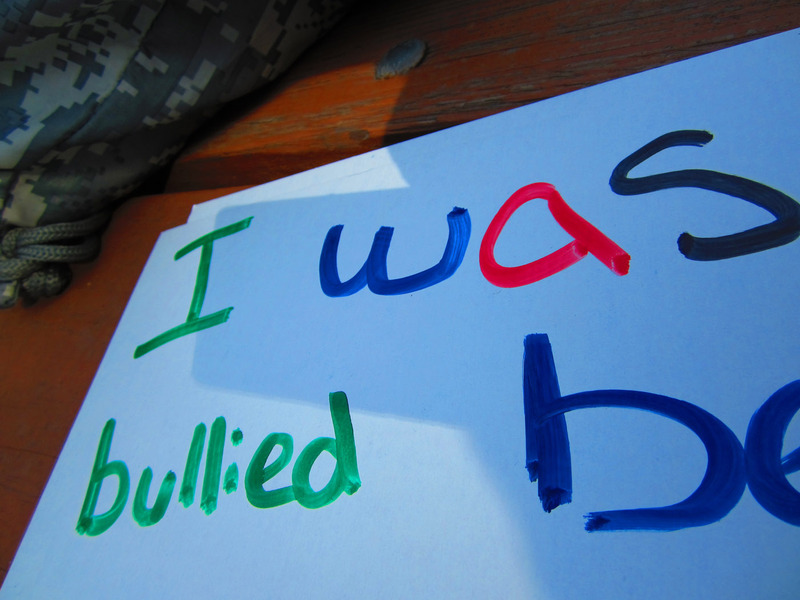 The picture doesn’t show the full sentence which was “I was bullied because … (fill in the blank)”. People are bullied for many reasons: being fat, being too skinny, being too pretty, too quiet, too smart, too dumb… Sometimes just the silliest things can be turned into a means of bullying people and demoralizing them. It’s unnecessary and hurtful. I’m proud to say that I’ve been a part of the Diversity Team at my school for 3 years. The team helps promote an inviting atmosphere; where school is a place to learn and make friends. School is not a place where one would fear persecution for his or her beliefs, ideas, or lifestyle.